The nearest resistance levels on the daily chart are the local highs of 1.3600 and 1.3621, the latter one coincides with 61.8% of Fibonacci retracement. 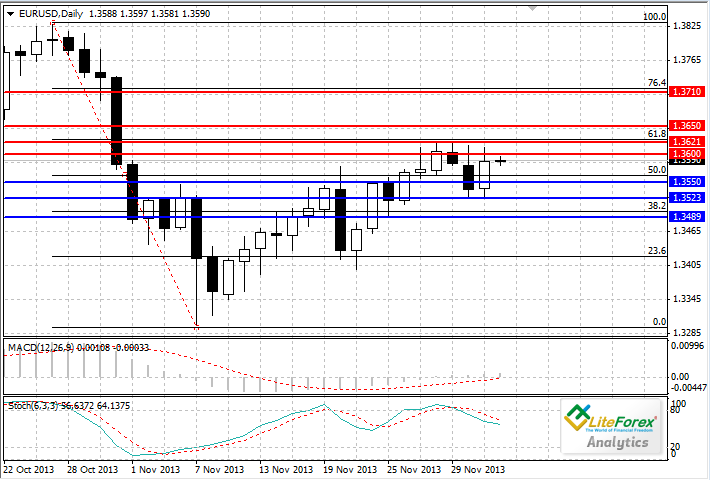 The targets of the “bulls” are 1.3650 and 1.3710 (Fibonacci retracement of 76.4%). Support levels are1.3550,1.3523 and 1.3489. Today it makes sense to place buy orders from the level of 1.3600 with stop loss at the level of 1.3580 and profit taking at the level of 1.3650.